A recent decision from the New Jersey Appellate Division has offered one former spouse an opportunity to prove the unfairness of a property settlement agreement. The spouse contends that she signed the first agreement both while unrepresented by an attorney and while under treatment for drug addiction and depression, and thus did not have the ability to determine whether or not the agreement was fair. This case is the near-inverse of the case discussed on our blog last week, where a spouse was unable to have a property settlement agreement thrown out by the court when, prior to signing the agreement, she ignored the recommendation of her attorney not to sign it. In the recent decision, titled L.B. v. H.B., the couple at the center of the case filed for divorce in April of 2014. The couple had been married for ten years, during which time they had two children. One of those children was born with Fragile X Syndrome, a condition that has left the son non-verbal and in need of special care. During the marriage, the wife, H.B., admitted that she developed a serious pill addiction, for which she sought rehabilitation in a residential facility in July of 2014. While the couple made a brief attempt to reconcile, this did not last. The husband, L.B., had his attorney prepare a property settlement agreement (PSA), which H.B. signed in August of 2014, without a lawyer to review it on her behalf. The agreement provided that L.B. would hold primary residential custody of their two sons, that the wife waived the right to alimony or any interest in all accounts held by the husband, that the husband would pay for the wife’s health insurance, car, and cell phone for two years after the divorce, and that their home would be sold with $250,000 of the proceeds going to the wife in “full satisfaction of any claim that the Wife may have for alimony or equitable distribution.” In other words, the wife agreed to receive no money or assets according to a division of property, aside from the $250,000 (later reduced to $200,000 in a follow-up agreement) received from the sale of their home, and help with some of her personal expenses. H.B. did not appear at the final hearing where the court approved of the PSA; normally, the judge would take this opportunity to question both spouses about the circumstances under which they signed the PSA to determine its fairness. The spouses had not exchanged financial disclosures or any of the other documents that would normally be exchanged prior to entering a PSA. The wife sought treatment at a second drug rehabilitation facility at the beginning of 2015, during which time the husband filed a motion to suspend the wife’s visitation. The wife did not appear to oppose the motion and sent a letter to the court stating that she would comply with the court’s parenting time provisions. After completing her stay in the rehabilitation facility, the wife stated that she realized she had been “duped,” obtained her tax returns from the family accountant showing that the husband had made an average of $600,000 a year over the past three years, and obtained a lawyer to review the PSA. This attorney filed a motion to vacate (throw out) the property settlement agreement, or in the alternative, to exchange financial documents and hold a hearing on the wife’s grounds to vacate the PSA. The wife filed a declaration along with the motion, explaining the circumstances under which she signed the agreement. She noted that she hadn’t worked during the marriage, and that her husband’s income as a commodities trader had supported their family. She also stated that she did not know her husband’s income before she signed the PSA, as her husband controlled the household’s financial matters. Prior to signing the PSA, she had been discouraged by her husband to hire an attorney, as he had her “best interests at heart and would always take care of” her. She stated that she’d had no opportunity to review the document prior to signing it and did not receive a copy after signing it. The husband opposed the motion to vacate. 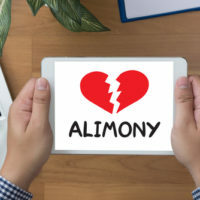 The trial court judge upheld the PSA, stating that the wife had waited too long in attempting to disavow the agreement, as it was originally signed in August of 2014. Additionally, since the wife had received the $200,000 under the agreement which she used to purchase a home, the judge reasoned that the wife could not now throw out an agreement from which she benefitted substantially. The judge upheld the PSA without holding a hearing. The wife appealed this decision, arguing that the terms of the agreement were patently unfair, and that at a minimum, the court should have held a hearing where the parties could present evidence regarding the conditions under which the agreement was signed. Ultimately, the Appellate Division agreed. The Appellate Division noted in its opinion that, while courts will make every effort to uphold PSAs, it would only uphold those agreements which were fair, which both parties understood, and which were entered into without coercion. The opinion also explained that courts have the right under New Jersey law to throw out PSAs which appear unfair after the discovery of new evidence, or which were signed as a result of fraud or other misconduct. Finally, the court noted that the wife had filed her motion to vacate the PSA within a year of the final entry of divorce, which, depending on certain facts that would be discovered in a hearing, would not be considered late. The Appellate Division found a great deal of evidence of unfairness of the PSA, and grounds to vacate the agreement. The opinion noted that, since the wife had shown that she was unrepresented when signing the agreement, the husband had controlled the couple’s finances throughout the marriage, the spouses had not exchanged financial disclosures, and the settlement the wife received was extremely small relative to what she would have been owed according to a standard equitable distribution of property, the wife was entitled to an evidentiary hearing on whether or not the PSA should be thrown out. If you believe you may have been the victim of fraud or coercion in your divorce settlement, or are otherwise in need of assistance with a family law matter in New Jersey, contact the compassionate, determined, and knowledgeable Union family law attorney John B. D’Alessandro for a consultation on your case, at 908-964-0102.